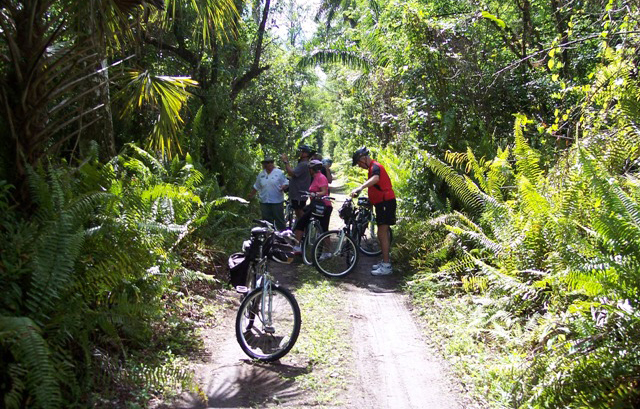 Naples Bicycle Tours provides a unique opportunity for visitors to observe and enjoy the Fakahatchee Strand. Our Certified Naturalist Guides lead three-hour tours biking through the Fakahatchee on level, hard packed roads and trails. The pace of a bicycle tour is perfect for observing the many wonders of the “Amazon of North America.” Visitors will view a variety of palm and hardwood trees, bromeliads and orchids, ferns and vines, birds, mammals, and reptiles. Participants ride high-quality geared bicycles and are provided with helmets, binoculars, snacks and water. Visit the website at Naples Bicycle Tours to book your bike tour.